While preventing floods and certain water damages can be hard due to the uncertainty in calamities, mold can be kept at bay. Mold is a particular type of fungi that grows in damp surfaces especially if the surface provides cellulose base to support its growth. The fungi start to grow within 24 to 48 hours as long as moisture is present. If you fail to dry the moisture, you might begin to notice mold growth on walls, the floor, insulation, ceiling, carpet, and wood. To secure the aesthetic integrity of your home and also your loved one’s health you may want to act quickly and prevent the growth of mold after flood. After water damage, it is essential that you act rapidly to discourage mold growth. Before calling in the insurer and any professional cleaners, you may want to browse through your home and save any sensitive documents or gadgets. Once you have separated the most critical items from the rest, you could go ahead and call professional water damage restoration services. Professionals are better equipped and experienced to restore your home to sanity and also take the right measures into preventing mold growth. Here are the steps to take. If you have been paying for flood insurance, let your insurer know of the happenings in your house. Take photos of the damage before moving any damaged property. This should help in filing for valid claims from the insurer. You will then separate the damaged and untouched items before deciding what to discard and what to restore. Your insurer may bring in professionals to take care of the restoration process depending on the policy terms. From a flood, you expect your home to be immersed in a sea, and simple tools won’t do the job. You could rent a specialized water vacuum or suction pump to remove the water from the house. You are better protected with some protective gear on, if the water is from a flood, a broken sewer, and other toxic sources. Contaminated water carrying chemicals and pathogens is harmful to your health. If you notice that the water is unclean, it would be logical to proceed with a professional cleaner by your side. Wet rugs and carpets are a potential medium for mold growth. The rugs could take a longer time to dry off and could use some separate washing and draining to restore their conditions. It would be helpful to have the carpets steam cleaned to remove any contaminants soaked in the rugs and dry them in the sunlight to prevent mold infestations. If you decide to let the carpets stay in the house soaked in water, this may encourage mold growth that spreads underneath to the floor and other areas in the house. Furniture can also serve as an excellent medium for mold infestation. Once all the water has been pumped out, also drag out all the furniture for some cleaning and drying. You could ask for manpower to help with the carrying of heavy and wet furniture. Let the furnishings dry completely before bringing them back into the house. By now, almost every wet item is out in the sun drying, but your house still suffers from some wet spots. The draining step only draws the water out but doesn’t dry the surfaces. Even concrete soaks in moisture which later encourages mold growth. You could use dry towels and mops to soak in the water that the pump or vacuum couldn’t clear. Professional cleaners have industrial-sized fans that propel off all the excess moisture and creates an environment for the surfaces to dry quickly. The results should achieve drying walls and floors. High humidity creates an excellent environment for mold growth. Your house’s humidity should be maintained at low levels to discourage mold growth. A dehumidifier can help maintain these conditions. If the weather is temperate and sunny, you could open all the windows and entrances to allow in adequate air that should support the right humidity levels. All these stipulations ensure that your home remains dry after draining the water. Be sure not to bring the wet conditions into the house when disinfecting the areas. You could use mold growth preventing cleaning solutions, bleach and detergent to make a solution that will clear any bacteria or possible mold growth. It could take a few days or weeks to get back things back to normal and ensure that mold won’t grow. Even in the event of all the preventive measures that you might have undertaken, mold can still grow. Here’s where the monitoring process comes in. Mold is evident through odor; a musty odor like that of dirty socks. Some types of mold are visible while some stay hidden behind walls, beneath sinks and may take sometime before a homeowner notices mold growth. There could be black or green streaks that appear along walls and ceilings that could indicate mold growth. The homeowner should be on the constant lookout for mold growth signs. Some manifest through unexplained health complications such as coughing, a runny nose, itchy skin, and watery eyes. 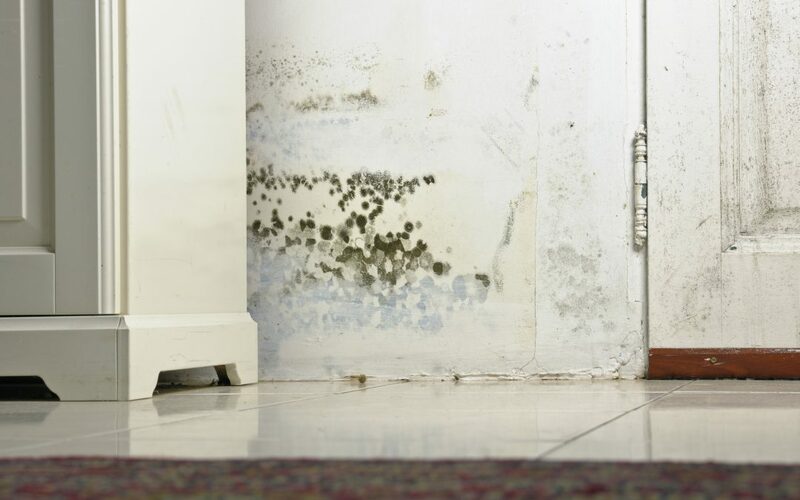 If you start noticing these clear signs of mold growth, you may want to call in a professional mold remediation expert to help with the inspection and address the issue. After an inspection, if mold presence is positive, the expert should embark on mold removal thoroughly to prevent re-infestation. Can you dry the water damage yourself? Depending on the amount of water in your house, drying the house can prove to be a daunting task if the flood caused huge damages. Huge masses of water may cause detrimental damages that require the help of professionals to restore the home to order. If the water damage isn’t as bad, you might handle the process using the tips mentioned above. Be sure to take all steps carefully to avoid health issues and injuries. You are probably dying to restore your home to normality. The faster you manage to clear the water and dry the areas, the quicker you get to have your house back. Your insurer should help you put back things to normal with stepping in for the damages and fixing drywall or other damaged areas. What is essential is to ensure that the moisture doesn’t sit in for prolonged areas as mold may find its new home.